The “Born Global Champions” Award of the Austrian chamber of commerce is awarded to Tech Start-Ups (founded 2010 or later) that are globally successful with outstanding products or services in special segments, have an exemplary function for others, show how to successfully capture new markets and how to benefit from potential all over the world. 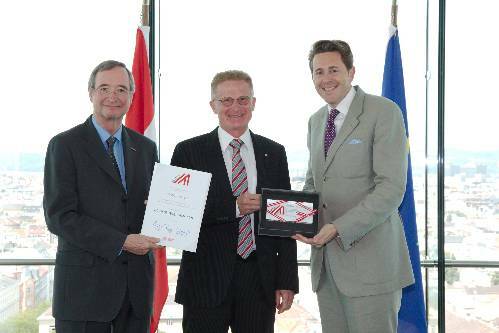 The award “Born Global Champions” was handed over by secretary of state Harald Mahrer and WKÖ-president Christoph Leitl. We are happy that Thomas Gabriel’s efforts have been rewarded by the award. Congratulations!